Witness yourself trapped in an ice cave inside the Antarctic and still be able to have some fun while earning some money. 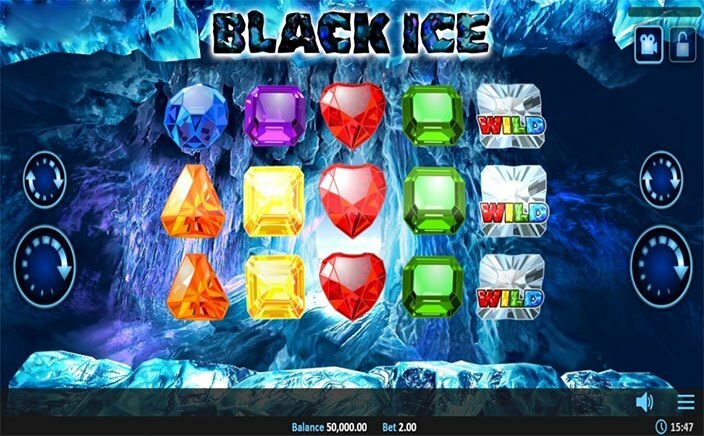 The Black Ice slot game is developed by Realistic Games. You can expect to win various respins in this game to collect payouts. Try the slot today at Monster Casino for real money for having a fun-filled time. There are 5 reels, 3 rows and ten fixed paylines in this high-paying slot game. The entire game is set inside a cave of the Antarctic filled with ice. A chilly ocean having pieces of floating ice is present and you can see this from the mouth of the cave. Try the “Spin” button for starting the game by setting the bets of the game. Six symbols form a part of the gems collection of the Black Ice slot and these are all represented by various shapes and colours of gems. These are blue, purple, green, yellow, orange and red. All of these symbols are very attractive and pay well when finding in combinations. For the wild, you will witness a white coloured gem. On top of this white gem, you will find a multicoloured “Wild” printed on top of it. This wild will be able to form winning combinations by substituting for the other symbols. This wild also triggers the only bonus feature of the game. Free Spins – Use the Wild symbol to trigger the wild spins feature. On each reel at the start of the standard spins, you will find 8 symbols on both the sides of the reels during any spin. The non-wild symbols during this feature will be transferred into wilds and one free spin will be rewarded to the players. This process goes on if the next spin also results in a win. You will find more spins being awarded more wilds being awarded. This is an engaging and addictive slot game having very high-quality graphics. 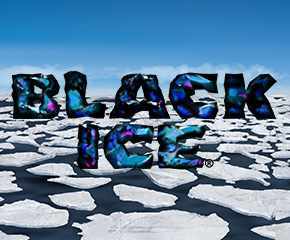 The Black Ice slot comes with a free spins feature which will stand the most awaited while you play this slot. The Return to the Player percentage of the Black Ice slot is 95.06%. You can try this slot game on your smartphone, tablet, desktops, or laptops.